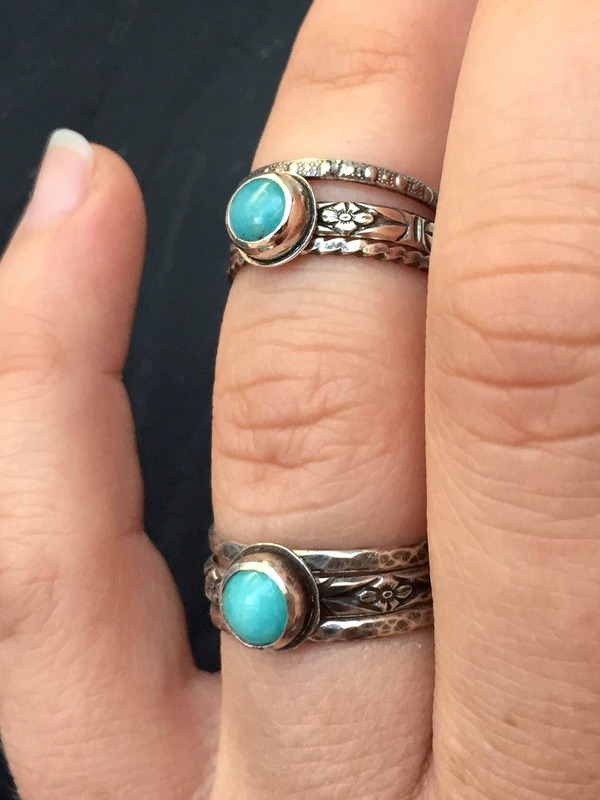 Brilliant blue-green, this amazonite adds a spot of saturated color in the center of a 3-ring stacking set. 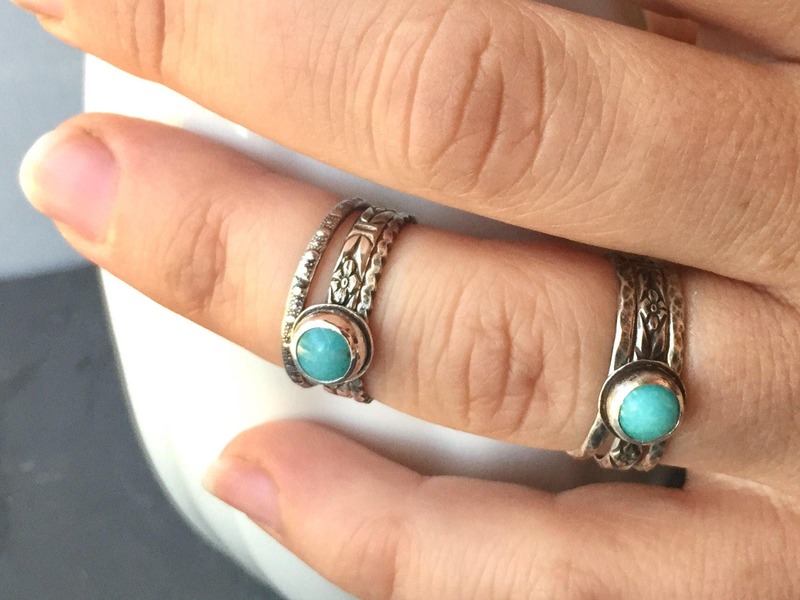 Set on a floral patterned band, the amazonite overlaps two textured silver bands. Together they stack into a set of rich patterns and textures. • The amazonite stone is 5mm in diameter. 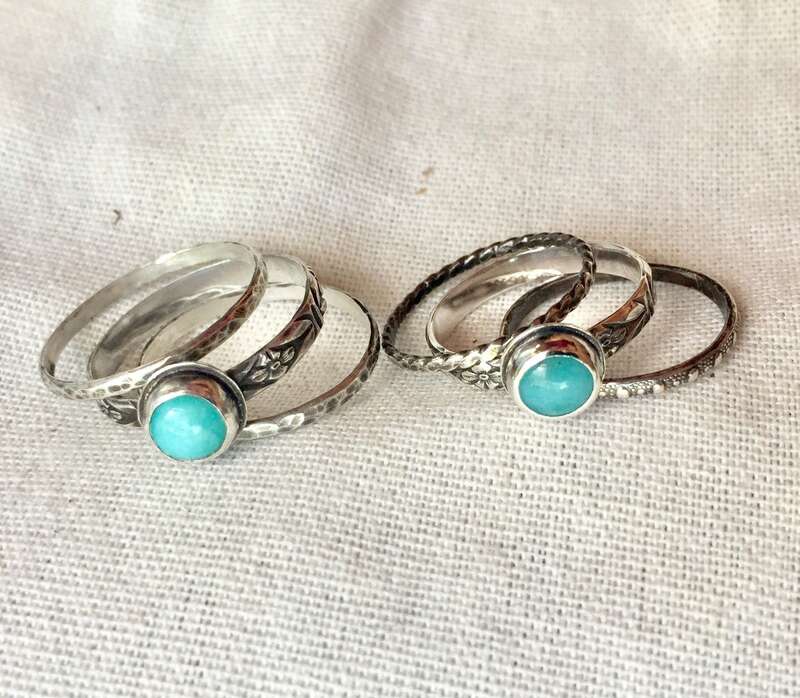 • The pictured rings are size 5.5 and size 7, but a set of rings can easily be made in your custom size. Please choose your size from the drop-down menu. 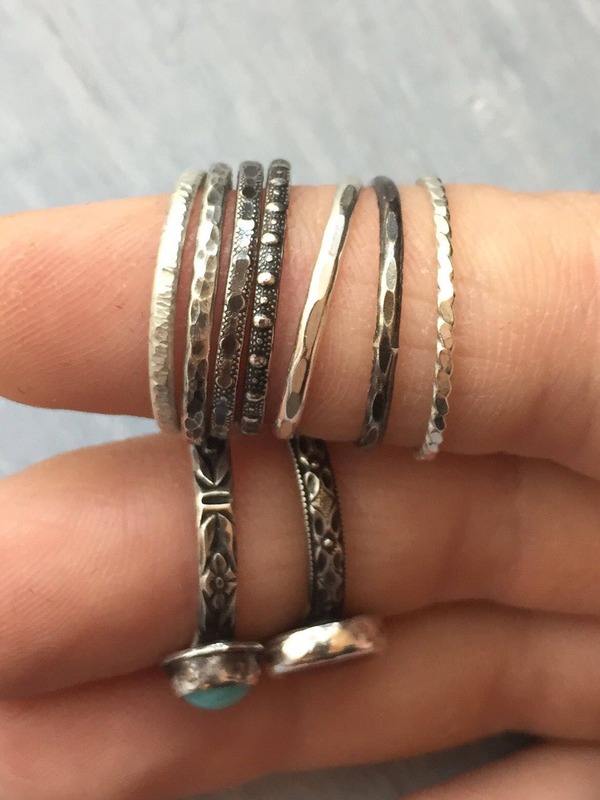 • If you have any preferences for the style or pattern of the stacking bands, just let me know. Several options are pictured in the last photo. 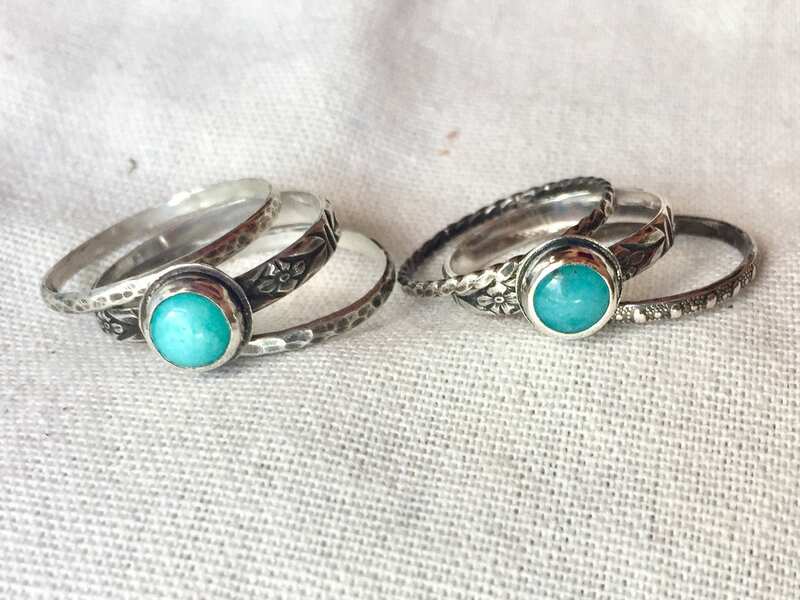 Amazing stackable rings! Lovely details and perfect stone.